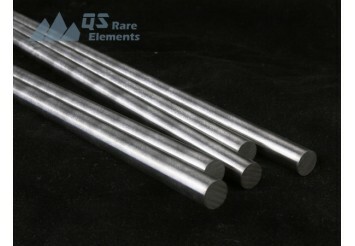 QS Rare Elements, locates in upstate NY, USA, supplies a wide range of tungsten product. 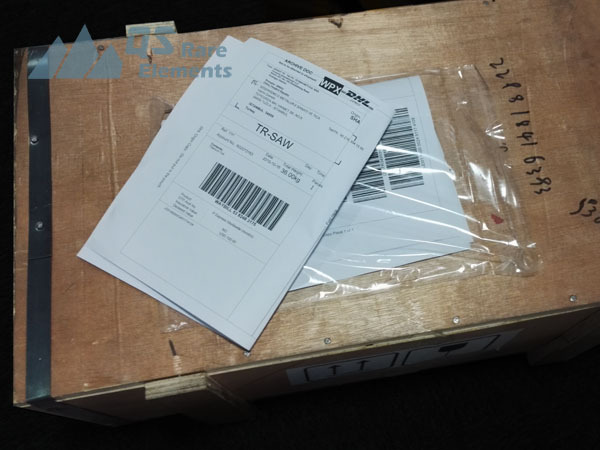 Available materials are high purity tungsten, heavy alloy (W-Ni-Fe, W-Ni-Cu), tungsten carbide (WC), and fake alloys such as W-Cu, W-Ag composite. For shapes, we could provide tungsten products from tungsten high purity powder/grit to common machined products. 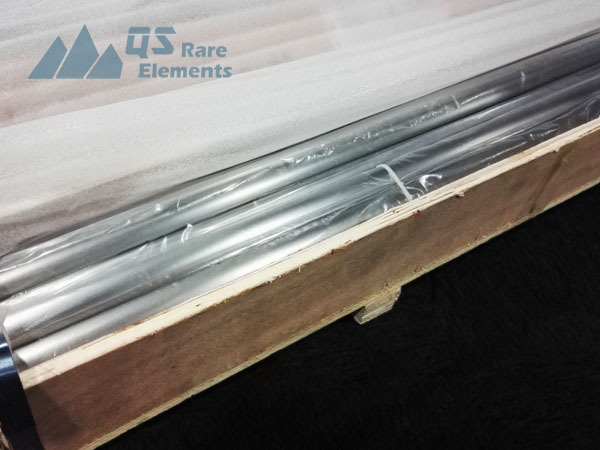 Unalloyed tungsten rod are produced from pure tungsten powder, without extra additive. The purity is usually quite high, 99.95%. Compared with alloyed tungsten, pure material is easier to be processed as pure tungsten could be worked by forging, drawing or extruding. 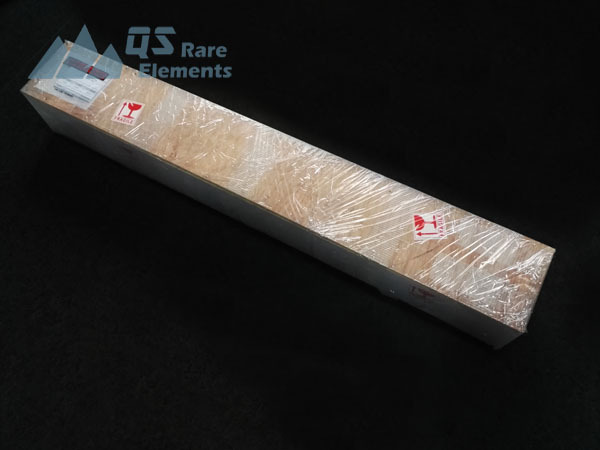 Pure tungsten(W) blanks, which are made from W powder by powder metallurgy, are the raw material to process W rod. 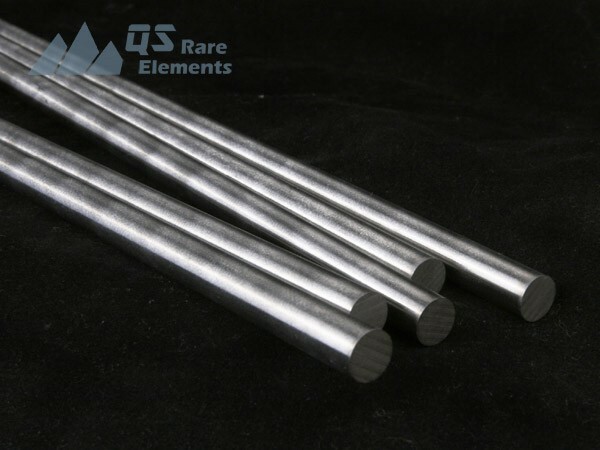 Tungsten rod are mainly used as cathode, conductive parts, heat resistant parts and other devices in electronic products and industrial equipment. W rod are also the raw material for small size tungsten crucibles. 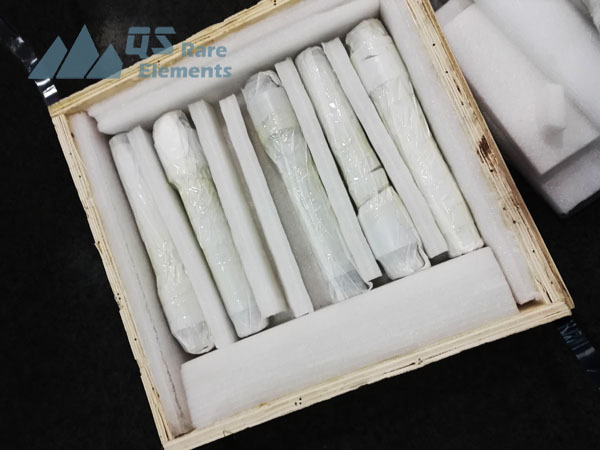 Tungsten is stable in air and packed without vacuum seal, unless requested. Wooden crater is applied when the cargo is over weight. *Mill report available for our tungsten rod.